How can a month that started so quietly end up being so hard and long? I guess that is the adventure of life. So without further ado, here is what I learned this month. 1. Our International School would not be reopening for second semester. Due to security concerns against western-educated schools, our school decided to close. It was a hard decision for our admin but the right one. I am sure there were other factors that went into the decision, but I am glad I did not have to make that call. I am amazed by the peace that I have. It can only be a gift from God. Philippians 4:6-7 has been true in my life not that I haven't had any sleepless nights or worries. The news of the school closing was another hit on our family. W and Big D loved their classes. They loved their teachers and their school. I am amazed at how well they are holding up. 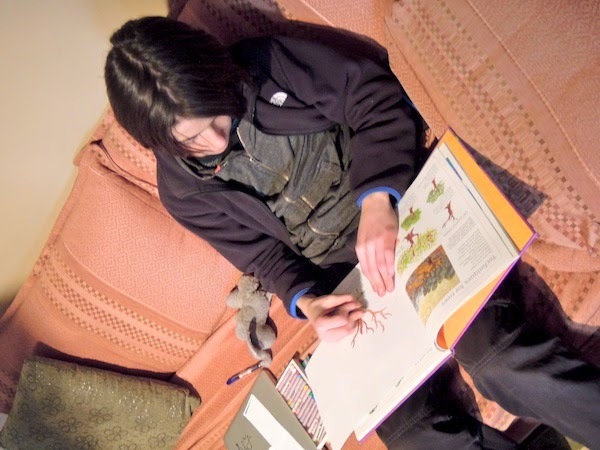 We homeschooled last year, and it was hard at times. This time around there is no complaining (or almost no complaining), and they are working really hard to get the job done. There have been tears because of the loss but that is normal. This last year has been a hard one but in the midst of it all, I see these precious ones growing in the grace of God. 2. It is hard knowing information you can't share with others who might need to know. Our family had a heads up on the school closing due to me working there. This gave us a head start on researching and figuring out what our family would do for second semester as we waited for more details. On the other hand, conversations were hard as I often didn't know what I could or couldn't say. I found myself praying for those affected by the decision since many would not have as many choices as we do, and others would be losing jobs. 3. I won't be reading as many books this year. This is probably good since I read 99 books last year. This month I have had extra restless energy. I have cleaned, organized, and crocheted. My wardrobe is even staying organized maybe because it is one thing I have control over. I have crocheted two hats and am starting on a baby blanket. My family is enjoying some fun food as I serve my family in this way. Also homeschooling takes time especially since I will have two extra students three days a week. I am trying to stay ahead of them on Anatomy and Biology and all the rest. It has been a challenge but I am enjoying it so far. 4. God's provision is beyond description. We have been so blessed by the support and love of our friends and supporter through words, prayer, and gifts. We were able to get all the kids' books from the school as well as my teaching materials. Their science teacher let me download all his slide presentations and notes and tests. My sister let me borrow her Notgrass- Exploring World History that has bible, world history, and English all in one. I was able to order a Government and English curriculum for W just in time for a teammate to bring it in country. My husband's support and help have been life saving. Another thing that has been a blessing is that three days a week I also school two of their friends who are taking the same classes. Those days are long but fun for all of us. So far it is working out and gives my kids, especially Big D, a balance between time alone and being social. It has also been good for me to have this teaching outlet. 5. I will most likely be an empty nester next year. Winter is a senior this year and will be heading off to Liberty University in the Fall. She is ready and excited. If they would let her start this month, she would be on a plane heading to Virginia right now. What I hadn't planned on was Big D going to boarding school if he gets accepted. He is excited and was the one pushing us to get the application in. He is okay homeschooling for another semester but another full year would be a hard one for this boy who thrives on social interaction. Yes, we could go back to the states and have talked about that with him, but really this school would be a good fit for him. It has TCK's like him. The academics will be challenging, and he will have the chance to participate in some extra curricular activities. We have seen Big D mature so much this year and believe he will do well. I am sure there will be some glitches and challenges, but I think he is ready. I am not even thinking about what my fall will look like without W and Big D. Right now, I am enjoying this season even if I am with my children pretty much 24/7. 6. This season is what our family needed. God knew what we needed. We needed extra time to invest personally into these two precious kids God has given us. In the mornings, we are enjoying reading a book called Speak Love together. It has been convicting to me and hopefully it will help all of us communicate with our words better. We added PE to the kids' school to motivate us all to exercise. We are enjoying the time outside or trying to beat each others' scores on the wii fit. Now if we can just figure out how many laps around our yard is a mile. Besides PE, we added Personal Finance. 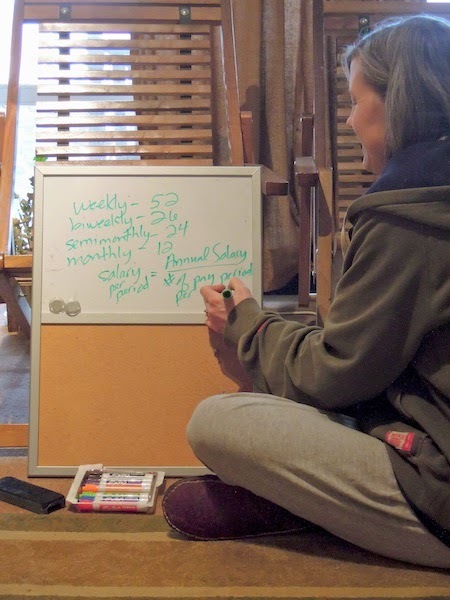 It was a class Winter needed to take in order to graduate from the Homeschool Umbrella school but we are finding it a practical way to make sure she is better prepared for taking care of her own finances in the future. There are other things we really like about this change including discussing Government and History from a Christian worldview. 7. How to get our daughter graduated since she only has one semester left. The easiest option would have been to finish up her classes on our own and issue our own homeschool diploma. Since we are international, we are technically under the country where we live but it looks like her college and others expect us to go under our state's homeschool guidelines. So we are currently under a homeschool umbrella academy called HomeLife academy that will help with transcripts and all that fun paper work. We are thankful with a few changes in her schedule that she will be able to graduate through them. They have been so helpful and understanding. The hard part is that we have to have 180 school days. Since our school only had 67 days first semester, we will be doing a lot of school between now and summer. If you need any advice on getting kids transferred to another school, transcripts, etc, ask my husband. He did most of the paper work while I took care of getting the curriculum we needed. His detailedness and persistence have been a blessing. 8. God's grace is more than enough. It is by God's grace that I live each day. In the midst of all the craziness, I have had joy. I have had peace. I have felt the nearness of God. In the past, I would have found myself not wanting to get out of bed because I was overwhelmed or depressed. Now when I don't want to get out of bed, it is because it is so cold right now. My word for this year is Worship. It has been much needed as I send up bullet prayers throughout my day. It has been healing as I sing worship songs like "Oceans" that have taken on a whole new meaning. I am truly learning what it means to "trust without borders" as the future has so many unknowns. God has been my rock and the lifter of my head. It is by his strength alone that I am standing and living and enjoying each day that He gives. Maybe in some ways it is perspective. Two months ago, two friends of our children were killed in an attack here. They gave their lives. All we lost was our school. We have each other. We can still school but differently. I lost a job but that mom lost two kids. So in the times when it seems to be a lot, I try to remember that really it is not that much compared to the grace and love that God gives me. PS I am linking up with Emily at Chatting at the Sky in her What We Learned this Month posts.